The author discusses the critical lubrication issues dealt with in gears and gear boxes, focusing on specific types of mechanical seals, including compression seals, hydrodynamic seals, hydrostatic seals, and mechanical face seals. Dr. Watterson also introduces the reader to the major types of bearings, including roller bearings, ball bearings and various types of sealed bearing systems, and their maintenance and lubrication requirements. 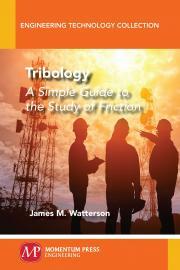 James M. Watterson has a PhD in mechanical engineering and is currently serving as independent training consultant with JMW, United Arab Emirates, since January 2003, and as part-time senior lecturer/lead trainer–commissioning and process start-up in the oil and gas refineries with ADNOC since February 2011. He trains groups of maintenance, operations, instrumentation, and planning engineers. Previously he was managing director at JW Management and Marketing Consultancy from September 1985 to October 2000.